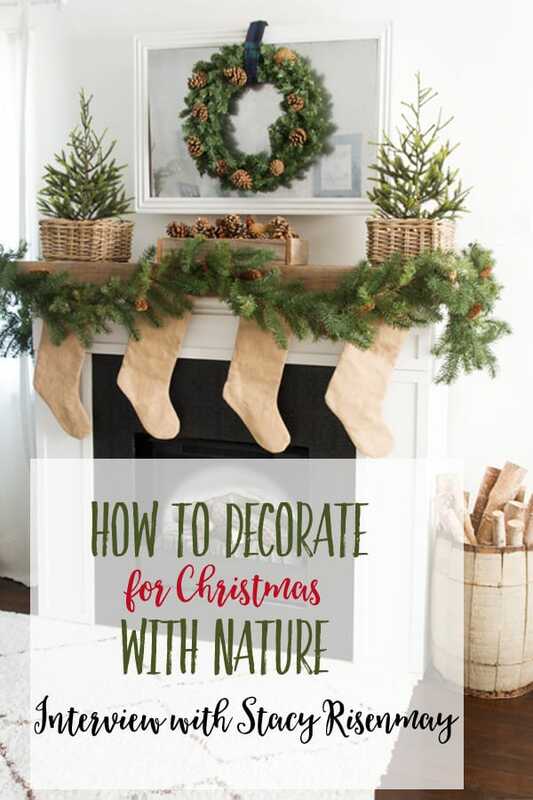 In this article: Learn how to decorate for Christmas with nature, and more Christmas tips in this interview with Stacy Risenmay. When I began the Homemade Christmas series here, one of my main goals was to introduce readers to other talented women. I wanted to (selfishly?) learn from them myself, and also pass along their wisdom and advice. Abby was here earlier to tell us about Christmas organization. Now today, I’m thrilled to introduce you to my friend Stacy! You are just going to love her. 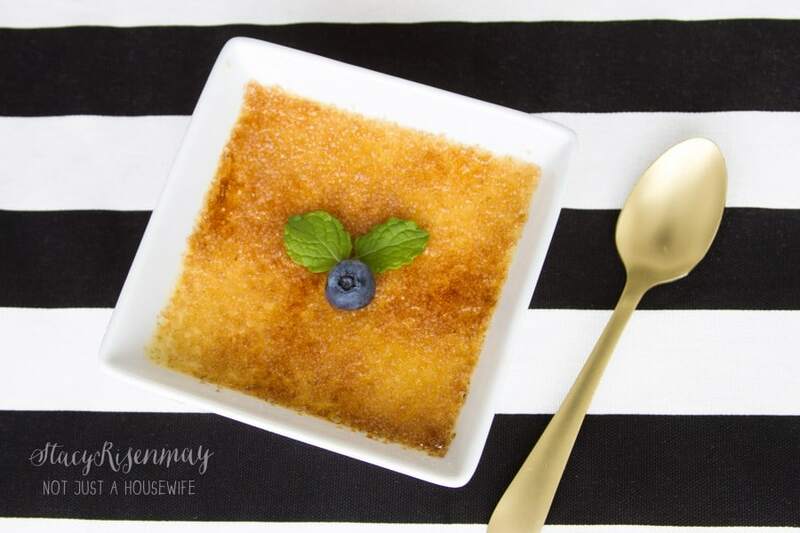 Could you briefly introduce yourself and touch on how you came up with the name “Not Just a Housewife” as your blog name? 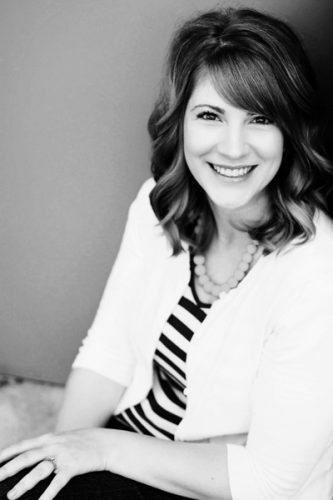 My name is Stacy Risenmay and I have been blogging for about 8 years. I started it for fun before I even knew blogging could be a business. I had a family blog, but wanted a second blog where I could share the projects I was doing to our fixer upper. I originally called my blog Not Just A Housewife because I was tired of hearing stay-at-home moms say that they were “just a mom. There are so many roles we play and hats we wear and no one should ever say that they are “just” anything. Now my blog is simply called by my name but I kept “Not Just a Housewife” as my tagline. I just realized you’re an author (How did I not know that??). Tell us about your book and how it came about. I wrote a book a couple of years ago. I have always loved the outdoors and love to incorporate elements from nature. When I was approached by a publisher, I chose that as my topic. 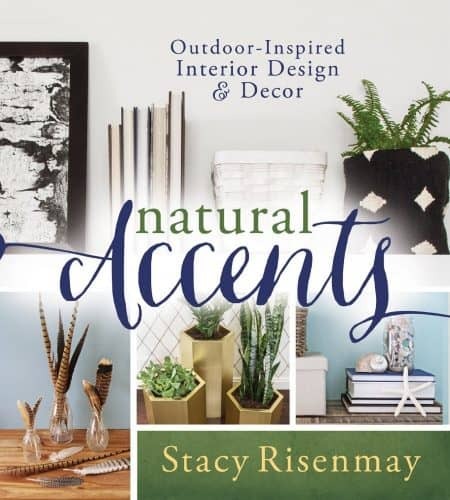 It is called Natural Accents and has 35 tutorials for DIY projects as well as decorating tips and ideas. I was honored when Nate Berkus agreed to write the forward for my book. Could you give some examples of how natural items could be used as Christmas decor? The holiday season is the easiet time of year to include natural elements! I like to keep things simple when I deocrate for Christmas. I pick a color scheme, buy a few little things in those colors like pillows and oranaments for the tree and then add a whole lot of greenery! No matter what the theme is, I always add plenty of pine cones. Tree slices as chargers under the plates, natural woven baskets, sprigs of rosemay, and small potted pines are all fun ways to bring in nature. 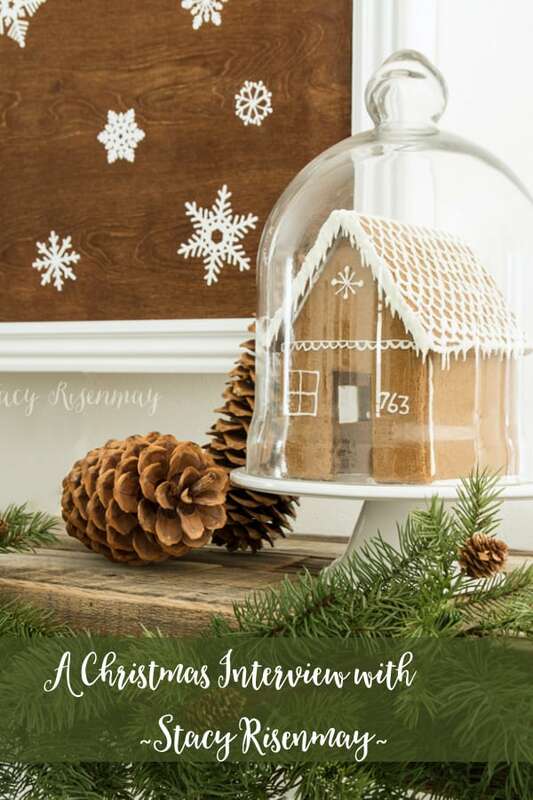 Do you make your own Christmas decor? What would be some good projects for eager diy-ers to try if they’re just starting out? I always make at least some of my decor. 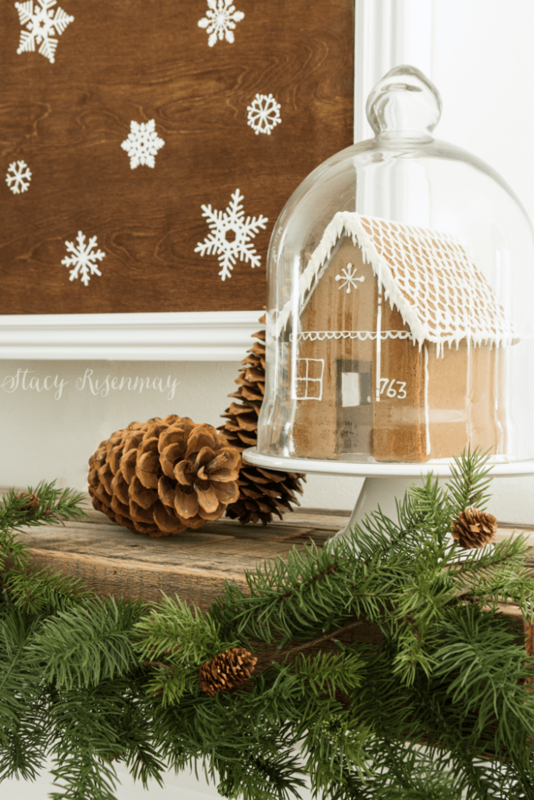 As a blogger, I kind of need to change up my decor each year since I share a home tour each season. I don’t have the budget to buy everything new each year so I reuse a lot of key pieces, change the color scheme, and DIY a bunch of ornaments and other decor. 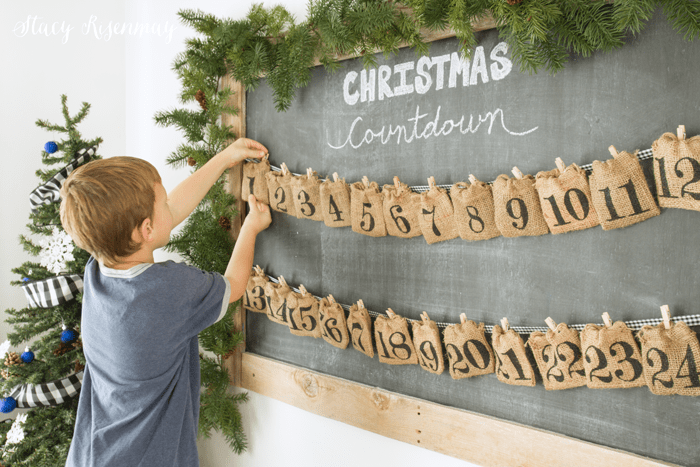 Painted signs, pillows, advent calenders, and ornaments are all easy projects. What do you do to prepare and organize for the holiday season? or do you just plan as you go? As far as decorating goes, I pick the color scheme and then go from there. Pillows and ribbon are usually next since I like to use non-traditional colors. 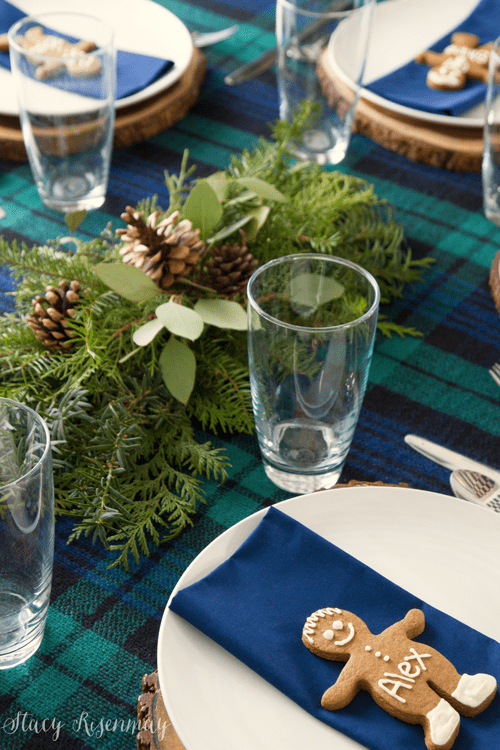 Sometimes it’s hard to find holiday patterns like plaid that aren’t red or green. Then I pick a theme. A couple years ago I did snowflakes and last year was gingerbread men. There isn’t always a theme, but it can help to know what direction to go. Everything else I just plan as I go! You and I have something in common ~ we’re both moms of all boys! What are some of your favorite family traditions for Christmas? We make homemade gifts for each other. I love watching my boys plan and scheme and get so excited about what they are making. I love seeing the use their individual talents (carving, leather work, painting, etc) to create something for their brothers. We also carry on a tradition started by my grandmother where we have a treasure hunt. Growing up, my mother’s parents owned a small grocery store in a tiny Idaho town. They didn’t have a lot of money so they would only received one gift. My grandmother wanted to stretch out the fun so that one gift last longer so she left them clues and they had to hunt for it. She had a tiny ceramic fireplace with itty bity stockings hanging from it for each child. Rolled up in the stocking was the first clue.I made a small fireplace out of polymer clay and stitched some small stockings and their main gift is their treasure hunt. Earlier this year, I watched you bring in a great garden harvest on Instagram stories. I admire your hard work and skills in the kitchen! Do you have any tips for how to make the Christmas dinner meal go smoothly? We have a large family dinner with my family that live near, so luckily I only have to be in charge of one or two food assignments. So, my advice would be invite other people and assign out the food! I am all about simplifying things. I don’t want to be sweaty and stressed out in the kitchen all day and then not be able to enjoy the day. Simplify the menu if needed so you can enjoy the people around you. What advice would you give a newlywed couple who is just starting to plan and create their first Christmas together? Ah! I remember those days. You are joining two sets of traditions and holiday memories which can be so fun. You are also starting from scratch with decor. Shane and I bought one new thing each year since we were poor and I made a few things here and there. Just enjoy it! Don’t think that you have to instantly have a Pinterest perfect home with all your traditions figured out. I don’t know why, but I absolutely love to hear stories of Christmas “oopsies” or bloopers in the kitchen. Do you have any Christmas bloopers?? I wish I had a big, elaborate story for you but I just have lots of little messes. I like to make a variety of goodies to plate and share with neighbors. I have burned MANY cookies, ruined fudge, and scorched caramel because of distractions (aka kids). Best Christmas tip: Simplify so you can enjoy it! This was so fun to read and get to know Stacey! I bet you are having fun doing these interviews! Rita what a great idea to interview other bloggers. I so enjoyed getting to know Stacey better and love her use of nature in her decor.